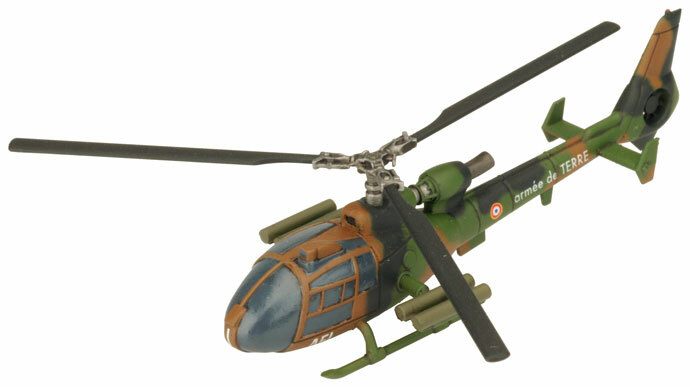 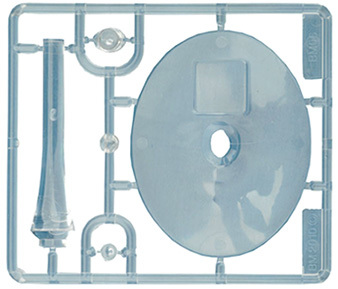 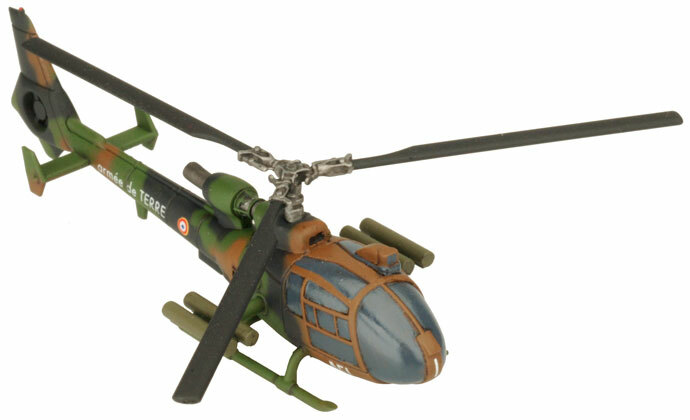 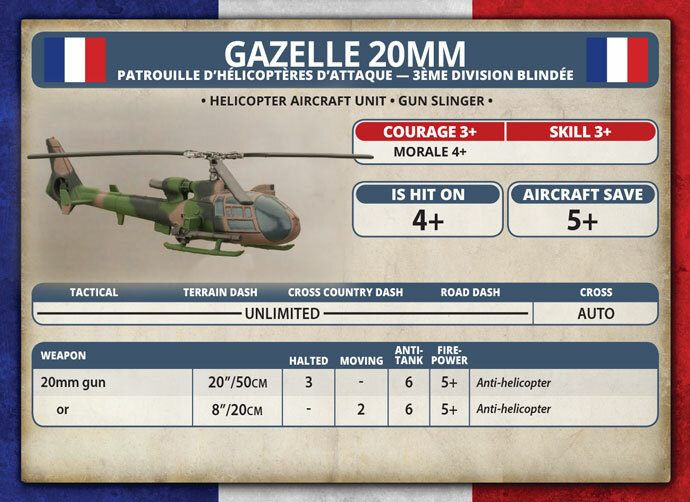 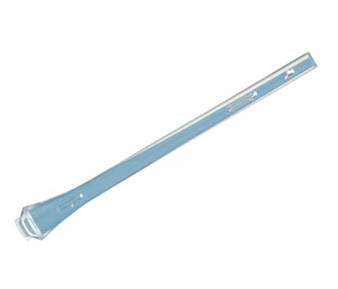 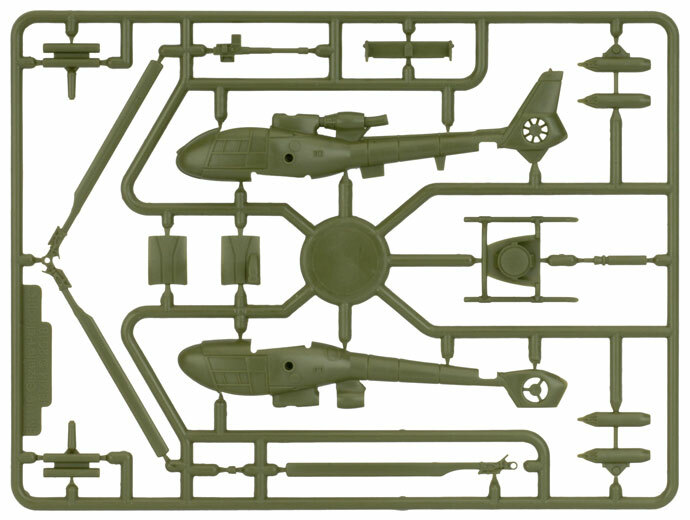 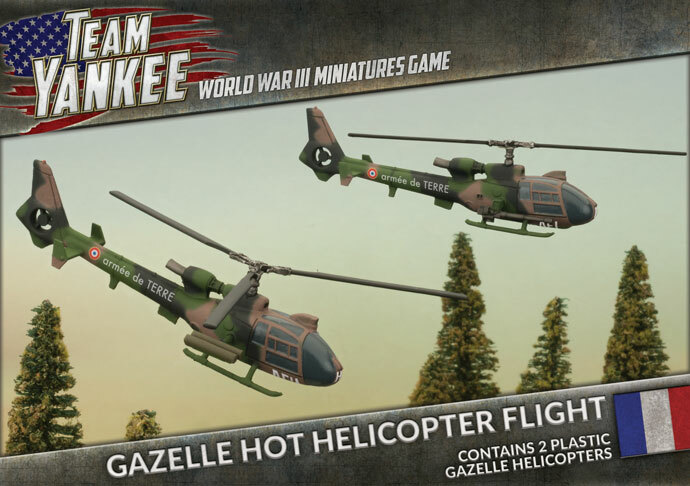 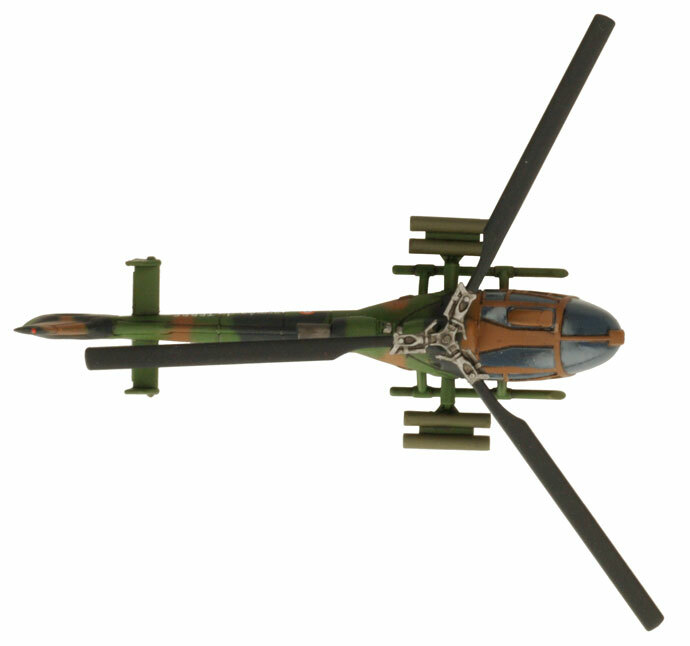 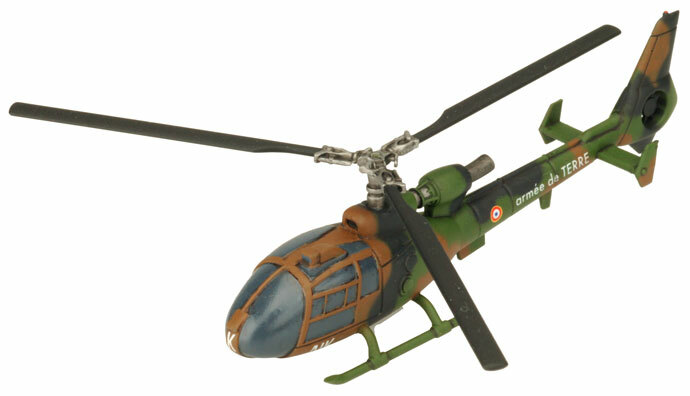 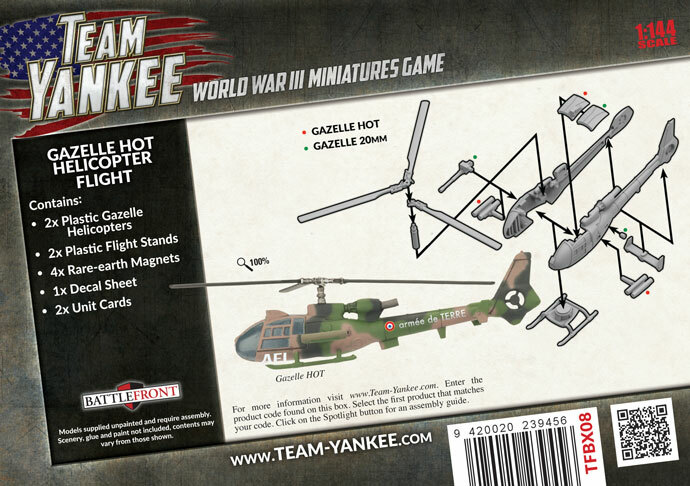 Includes two plastic Gazelle helicopters, two plastic flight stands, one Decal sheet, and two Unit cards. 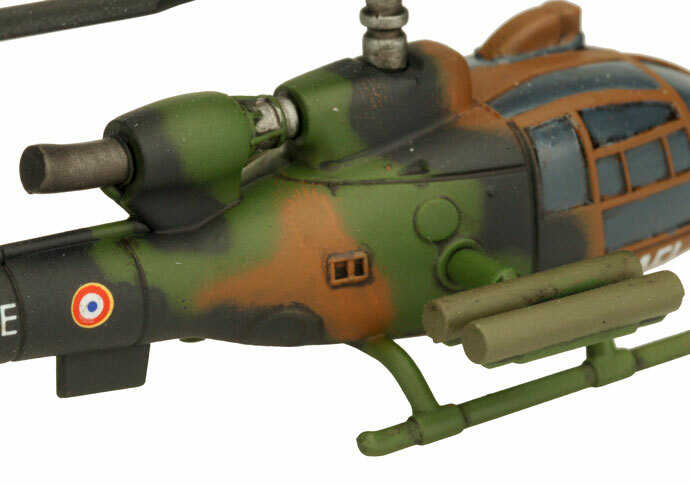 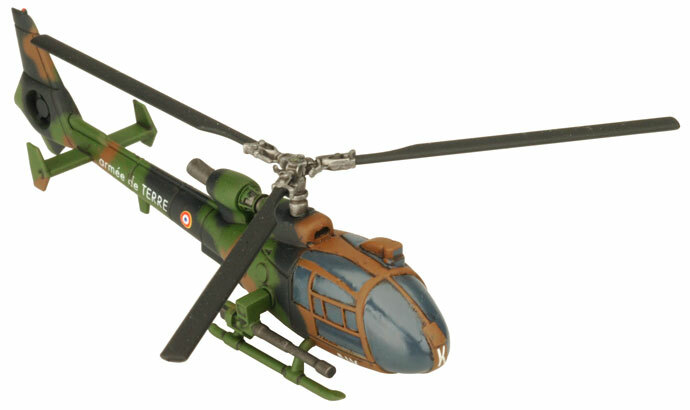 Like the West Germans, the French also mounted their HOT anti-tank guided missiles on Helicopters. 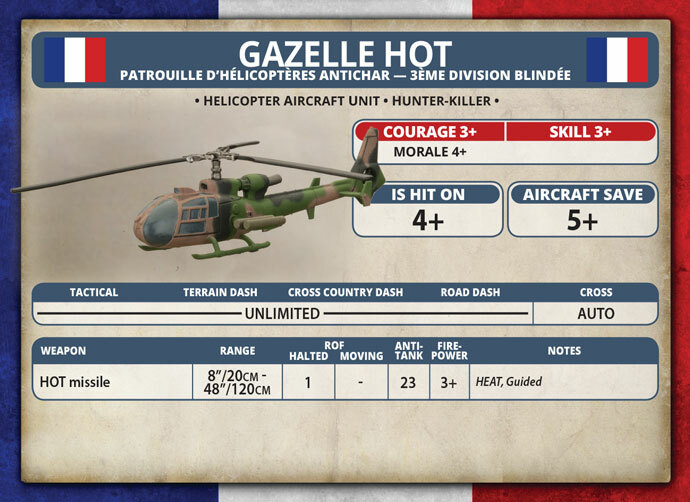 Taking advantage of terrain they would move into position before launching missiles to destroy Soviet armour while their 20mm counterparts would supress enemy anti-air assets.